This week we finished up our introductory creation unit. 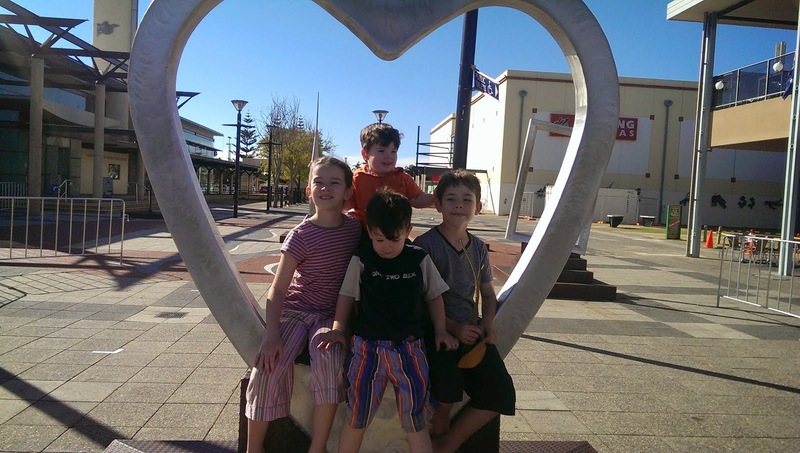 It was quite a short week with a public holiday Monday, our usual homeschool group on Wednesday and then visitors on Friday. So only 2 days to finish up days 5, 6 and 7!! On day 5, God made the fish of the sea and the birds of the air. 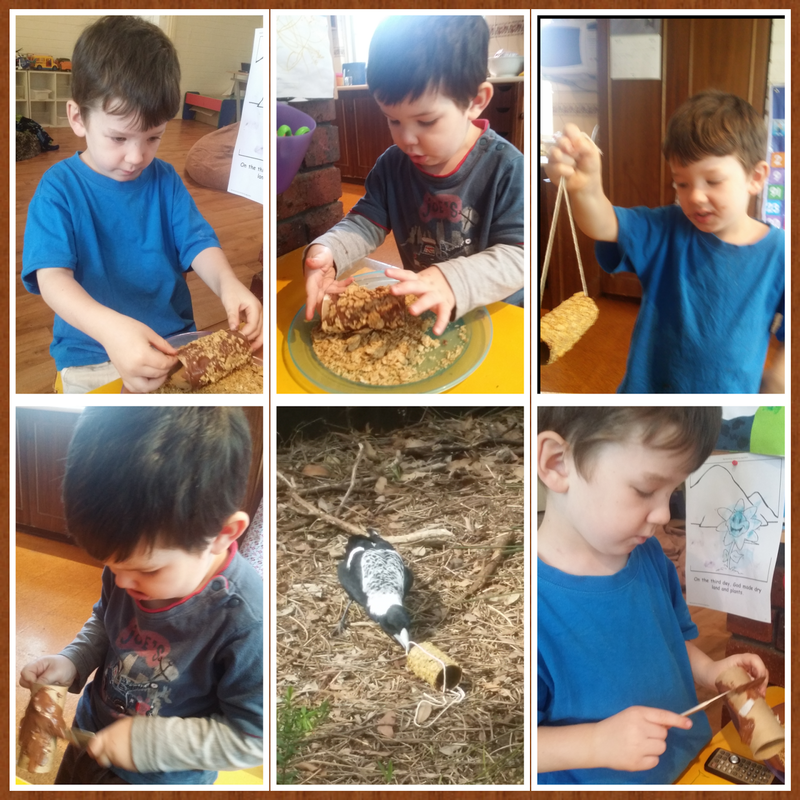 Our favourite activity to day was making nutella and cornflake bird feeders for our magpie friends. We covered toilet rolls with nutella and then rolled them in crushed cornflakes and hung them outside in the trees. Samuel decided he wanted to try and hand feed the magpies and spent quite a while sitting on the ground holding onto his feeder while 3 or 4 magpies took it in turns to come and take some of the food. He was so excited! After watching him do this for a while I though I would see if Nathanael wanted to join us. Turns out he decided he quite liked the taste of the bird feeder and had licked his clean!! Oh well, that was morning tea taken care of! 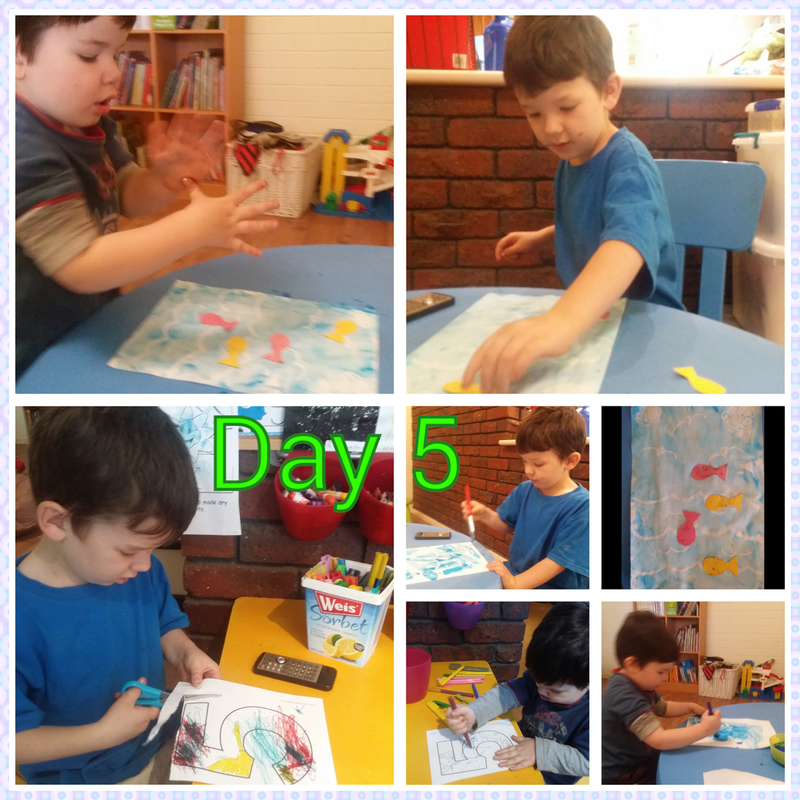 Day 5 also saw the fish being created so we did some crayon resist pictures. the night before I drew some underwater scenes in white crayon and then had the boys paint over them with blue dye. They were quite amazed to see the picture appearing as they painted. After they finished painting we glued some fish onto their oceans. For our sensory play today I made an ocean box with coloured gelatin fish, and starfish. Both boys loved this and spent close to an hour scooping, pouring and squishing until we were left with a gooey, soggy gelatin mess!! On day 6, God made the land animals and man. On day 7, God rested. 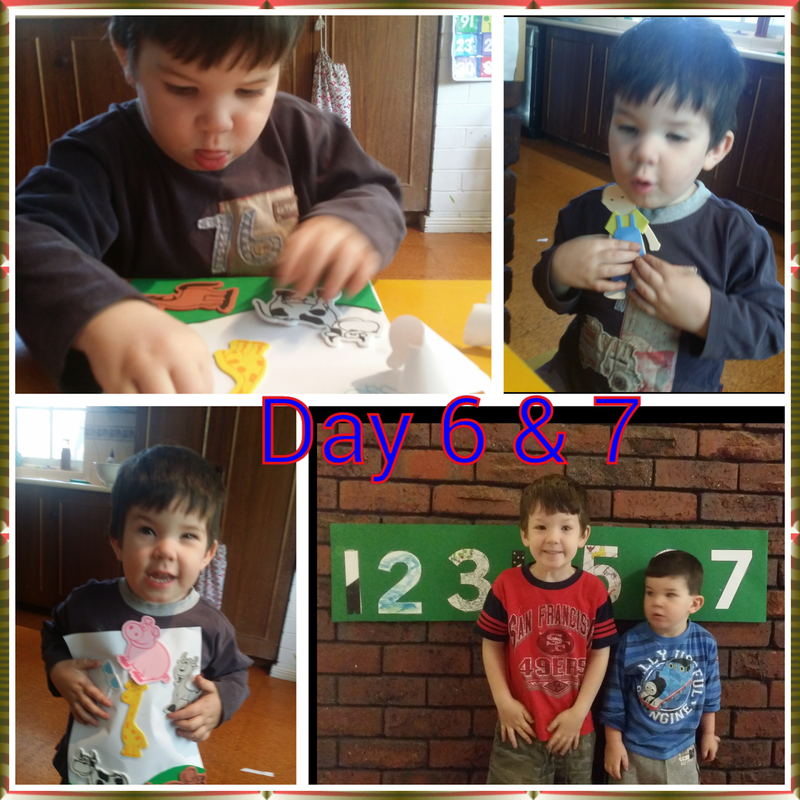 After a really busy week we didn't have much time to do much school work so our activity for day 6 was nice and simple. I had some large animal stickers so we simply stuck them onto a piece of page. Fast, simple but still fun for little ones!! For Adam and Eve we used our foam "paper dolls" and made one man and one woman. For day 7 we made a picture of a bed!! We then played some games with our creation timeline and matching pictures of what was made each day. We had a fun two weeks reviewing the creation story and are really looking forward to beginning the first of our unit studies next week! 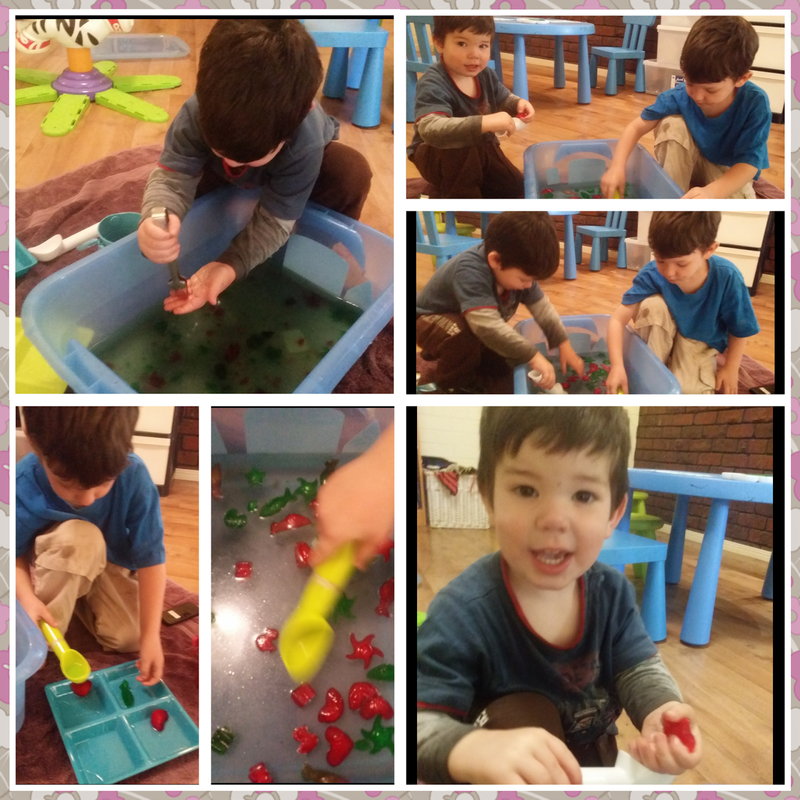 Linking up at Homeschool Creations Preschool and Kindergarten community link up.